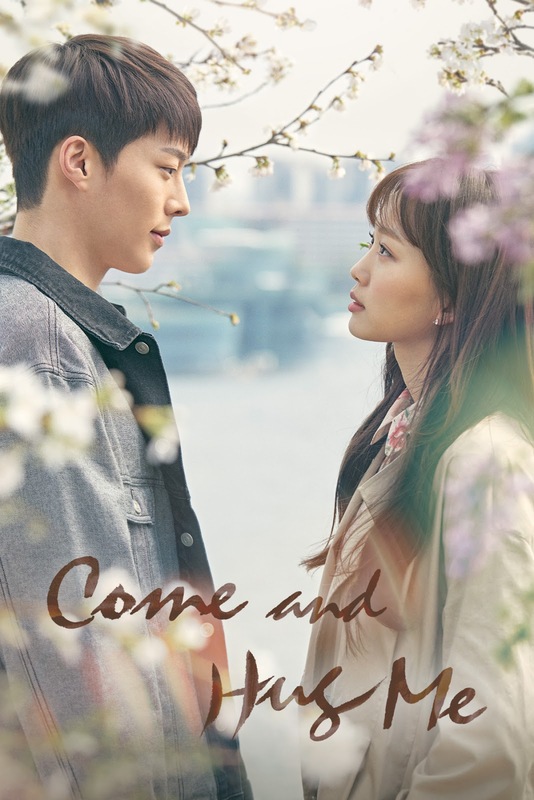 The tears flow freely when watching Come and Hug Me starring Jang Ki-Yong and Kim Ki-Joo. Those rare scenes when our leads forget their predicament and just allow themselves to freely be the kids they couldn't be when they were growing up, are all the more heartwarming and amazing as if the audience is given something they need to treasure. The shy and vulnerable love Nam-Moo and Nak-Won couldn't continue to have ruptures through their sweet moments as adults, love making all our hearts giddy. So I'll spare you the tears and share some of my favourite romantic moments that really show how much they care for one another and how as a fan, I have a great sense of gratitude and pain for the incredible chemistry and sad love story. When Nak-Won candidly opens up about her relationship with Nam-Moo, expressing her need to be normal like everyone else. Their scars are so vividly bruising that at times, it puts a dent in their relationship; they simply need to let go and care for mundane things. For a show that has 'hug' in the title, there's a lack of it so whenever they do hug, I'm in pieces. All I have to say is, "FINALLY. THANK YOU." Nam-Moo finally admits all that he's repressed and longed for, giving us one of the most heartbreaking confessions and kisses in a K-drama. The ship has finally left the dock and it's about time! The weight of emotions that builds up really attests to everything Nam-Moo and Nak-Won have given up on. They've tossed love into the ashes because of their past, but 12 years is more than enough to know where your heart lies. Nam-Moo is willing to be anything Nak-Won wants him to be and their embrace conveys so much heartache and the desire to be touched by the only other person who truly understands. A heartfelt scene of yearning desire. The transitions between the past and present from childhood innocence to longing gazes in the rain really define the drama as being melancholic and wistful. Other aspects like the falling rain and white cherry blossoms billowing in the wind really lend themselves to the tone and undercurrent of emotions, depicting a bittersweet love. It's all so heartbreaking and tragic but a romance worth pouring your soul into. So what have been your favourite moments? Is it the romance, the trauma, or the villainy that keeps you glued to your screen? Or do you find yourself pulling your hair out by the roots? What's unfortunate has been the delay in broadcasting episodes. It was pre-empted 2 weeks in a row and then MBC decided to only air an episode each week, which is a huge setback and had people flocking over to What's Wrong With Secretary Kim (which I am also madly obsessed with). And I share the same sentiments - I'm glad Nam Joo-Hyuk turned tis down. I don't think he's reached a level of acting that would be able to convey Nam-Moo's agony and Jang Ki-Yong has done an incredible job of giving us a mature performance. Sad & mad are both accurate because I feel the same way xD I wish they would hug every single episode to make me feel better since I've been teary-eyed on more than one occasion while watching this.